The UN Security Council has unanimously agreed on a new set of restrictive measures against Pyongyang following the North Korea's latest missile tests. Having reaffirmed the UN's previous stance on the issue, the international body further sanctioned several of North Korea's exports. The US-drafted resolution bans North Korean exports of coal, iron, iron ore, lead, lead ore and seafood. It also prohibits increasing the current numbers of North Korean laborers working abroad, new joint ventures with Pyongyang and new investment in joint ventures. Meanwhile, having reaffirmed its support for the so-called Six Party Talks and for the commitments "set forth in the Joint Statement of 19 September 2005 issued by China, the DPRK, Japan, the Republic of Korea, the Russian Federation, and the United States," the new UN resolution called for the resumption of those negotiations. Saying that the talks are aimed at "the verifiable denuclearization of the Korean Peninsula in a peaceful manner," it once again called on Washington and Pyongyang "to respect each other's sovereignty and exist peacefully together." 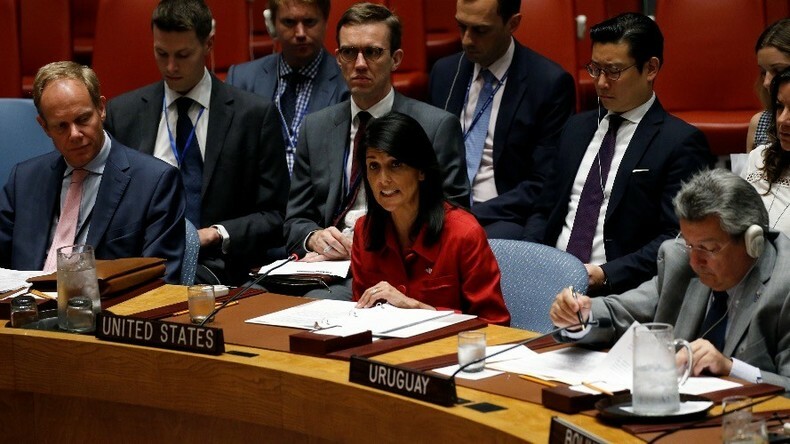 Speaking at the Security Council meeting, the US envoy to the UN said the new resolution is the hardest package of sanctions against any country. Washington "is taking and will continue to take prudent defensive measures to protect ourselves and our allies" from the North Korean threat, Nikki Haley said. The US ambassador also called on the 15-member body to implement "further action." Russia's envoy to the UN, Vassily Nebenzia, called on Pyongyang to scrap its nuclear and missile programs and to return to a non-proliferation regime. Nebenzia, however, criticized Washington and its allies' recent actions in the region. Pyongyang sees their military deployments close to its borders as "a direct threat to its national security," the Russian ambassador pointed out, adding, that such actions also destabilize security on the Korean Peninsula and surrounding regions. 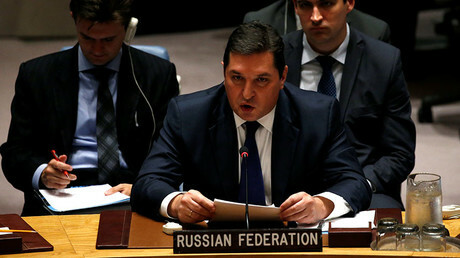 The Russian envoy also addressed the other parties to the conflict, saying that "dialogue and negotiations" are needed to attain peace and stability in the region. Both Moscow and Beijing have repeatedly called for such peaceful diplomatic efforts, he said. Nebenzia also urged the UN to "strengthen its humanitarian efforts" towards the people in North Korea. China also called for a halt to THAAD and for all relevant equipment to be dismantled. "The deployment of the THAAD system will not bring a solution to the issue of (North Korea's) nuclear testing and missile launches," China's UN Ambassador Liu Jieyi told the council. North Korea should also “cease taking actions that might further escalate tensions," he added. The UN expressed "great concern" over North Korea's distribution of funds and revenues, saying that while Pyongyang pursues expensive nuclear weapons and ballistic missile programs, its people "have unmet needs." Citing the findings of the UN Office for the Coordination of Humanitarian Assistance, the resolution says that "well over half of the people" in North Korea are deprived of proper medical care and are lacking food. "A very large number of pregnant and lactating women and under-five children... are at risk of malnutrition and nearly a quarter of its total population [are] suffering from chronic malnutrition," the UN said.